For those of us who didn’t can fresh tomatoes when we had the chance, this is a rough time of year. I’m sure I’m the only one dreaming of fresh tomatoes right now as I wonder why I ate all of the good ones during the summer without getting out my canning gear. Perhaps I was too busy soaking in the hot sun and swimming in a pond to be bothered. Ahhhh, I miss summer. So, what are the tomato lovers going to do? We are going to listen to the Produce Geek and hear what he has to say about winter tomatoes. Guess what? Produce Geek is right about the “Campari” tomatoes. They are delicious and remind me of.....SUMMER! Okay, they are not “warm off the vine, grew in my garden” tomatoes. But, they are much better than I thought and worth the dough. Another option is sun dried tomatoes. Bella Sun Luci sent me some lovely packages of julienned sun dried tomatoes that you can toss onto a salad. They are not packed in OIL so they are low in calorie and high in lycopene and vitamins. You can find them in your produce section and I recommend them for the sad tomato lover. How do you deal with the winter tomato doldrums? I have been buying these for a few years now in the winter. Not straight from the garden good but for the winter they are delicious. They keep well too!! while I am holding off viewing the video because I am at work, the only tomato other than compari that I eat during the winter are the tiny grape tomato ones that come in the yellow bottomed container, (I may venture into the sunburst variety that is newly widespread this year) because they seem to retain a lot of flavor through the winter as well. I do love my `maters. In the summer I enjoy eating one like an apples as I leave the farmers market with it warm and drippy from the summer sun. Ahhh summer please hurry back! Yes on the small grape tomatoes in winter for salad usage. But for cooking your best option are canned tomatoes, especially the ones already diced up; they taste pretty good in most recipes. 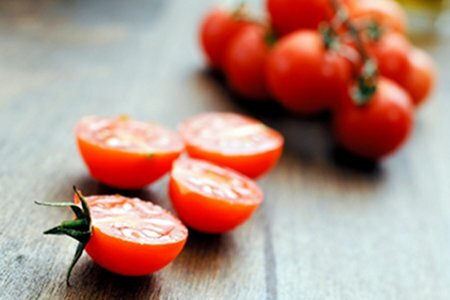 In fact, some recipes list them as an option if good tasting fresh tomatoes are not available...such as in winter. Interesting post -- I'll have to try that sundried variety! 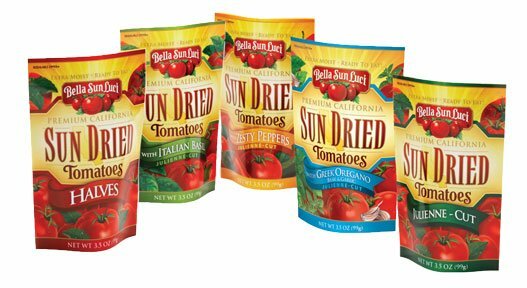 I was not speaking of sundried; talking about canned diced tomatoes which are great for cooking as they have a strong fresh real tomato flavor. Campari are the best whenever you can't get fresh! That's my experience. Love them when the greenhouse guys first start producing them before we can get fresh ones! The best "Winter Tomatoes" are canned. The canned tomatoes, like the ones canned at home, are canned fresh. I agree Rebecca. I especially like the diced ones as they cook down better for chili or spaghetti sauce too. Love your site, Lisa. I try to check it at least once a week but more often when I need an update.